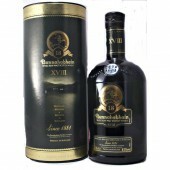 Generally Bunnahabhain (buh-nah-hav-enn) malt whisky is not as heavily peated as some of the other Islay distilleries. Instead the whisky has gentle tones of peat smoke and its coastal maritime flavours come through. 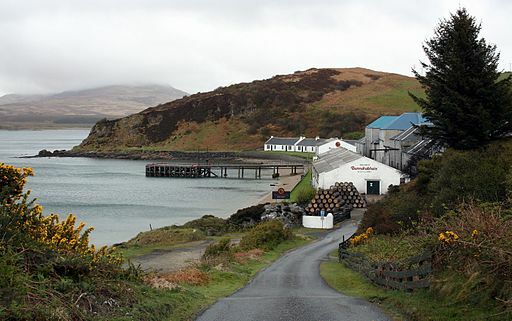 Bunnahabhain distillery is the most northerly distillery on the island, facing The Isle of Jura across the Sound of Islay. Established by William Robertson and the Greenlees brothers, William and James, local farmers in 1881. 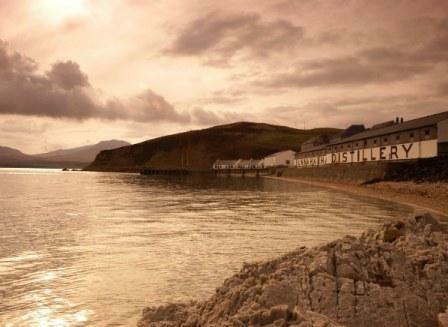 The distillery went into production in January 1883 under the trading name of The Islay Distillery Company. The Distillery was expanded in 1963 with a second pair of stills added. The Bunnahabhain distillery closes in 1982 re-opening two years later. The Edrington Group takes over Highland Distillers & Co in 1999 and particially mothballs the distillery. Allowing a few weeks of distlling a year. 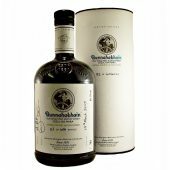 Regarded as the lightest of the Islay whiskies. This may be due to the fact that the water used is drawn from a underground spring before it has run through the peat, also the narrowness of the cut taken from the second distillation. A Key ingredient of Black Bottle blend, the malt its self is known for being virtually un-peated, which is unexpected of an Islay, but retains that salty tang of the sea making an ideal introduction to the Islay region. Founded in 1883 by the Greenlees Brothers. Location; Islay region, North Shore district. 12.5 tonne Stainless steel mash tun with copper dome. 6 Oregon pine washbacks. Fermentation time between 55 and 80 hours. 2 smaller pear shape spirit stills. Almost horizontal Lyne arms, 2 with Condensers in the stillhouse 2 outside. Eight Warehouses on site for 22,000 casks. In 2014 the old floor maltings was converted to a further warehouse. Matured in American oak bourbon barrels plus some European sherry casks. 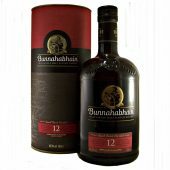 Bunnahabbhain malt whisky core range consists of a 12 year old, 18 year old and 25 year old aswell as two more peated bottlings Toiteach and Ceobanach. 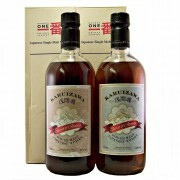 They do release limited edtions for Feis Isle and other sherry cask finished bottlings. 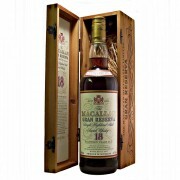 Independant bottlers such as Gordon & MacPhail and Hepburns choice have bottlings amongst their ranges. Take a tour of the Bunnahabhain Whisky Distillery. The Bunnahabhain Whisky Distillery visitors centre is well worth a visit and regularly run guided tours of the distillery throughout the course of the day. A number of the tours include tasting sessions where you can sample some of the drams they have to offer.